Pupils from the Penrose Road school performing on stage. Helston County Secondary School was formerly known as Helston Secondary Modern School. In the sixties and early seventies the Penrose Road school was known locally as the ‘Green School’ because of its uniform of dark green and grey. 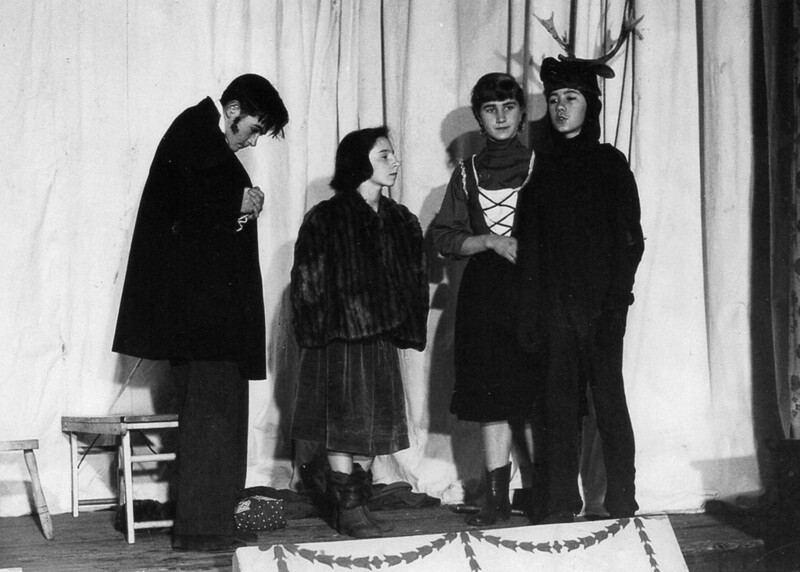 “School Play, Helston County Secondary School, 1959,” cornishmemory.com, accessed April 24, 2019, http://cornishmemory.com/item/HGS_028b.